SACRAMENTO, Calif. — The Democratic attorney general of California, most known for filing criminal charges against the man who recorded undercover videos of his talks with Planned Parenthood officials, has now banned state employees from traveling to Texas in protest of a law protecting faith-based adoption agencies from punishment for operating in accordance with the tenets of their religion. He also banned government travel to Alabama and South Dakota over his objections to similar adoption laws, as well as to Kentucky. 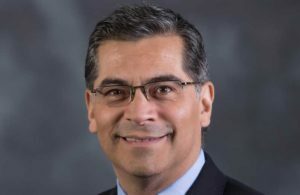 “I am announcing today that I am adding four states to the list of states where California-funded or sponsored travel will be restricted on account of the discriminatory nature of laws enacted by those states,” Xavier Becerra said in a statement on Thursday. As previously reported, while the Texas legislation—signed last week by Gov. Greg Abbott—doesn’t mention specifics, some have construed the law to mean that Christian adoption agencies may choose married couples over unmarried, Christian couples over non-Christian and heterosexuals over homosexuals. “A governmental entity or any person that contracts with this state or operates under governmental authority to refer or place children for child welfare services may not discriminate or take any adverse action against a child welfare services provider on the basis, wholly or partly, that the provider has declined or will decline to provide, facilitate, or refer a person for child welfare services that conflict with, or under circumstances that conflict with, the provider ’s sincerely held religious beliefs,” House Bill 3859, also known as the “Freedom to Serve Children Act,” reads in part. Bill author Rep. James Frank, R-Wichita Falls, denied that the bill was discriminatory against homosexuals. Becerra also cited Alabama’s H.B. 24, and South Dakota’s H.B. 149, in his statement, which he opposed out of his belief that they likewise could permit faith-based organizations to decline to place children in homes with two men or two women. The attorney general issued his travel ban in light of a new California law that prohibits state-sponsored travel to states that have laws on the books deemed to be discriminatory against homosexuals. California already prohibits state employees from traveling to North Carolina, Kansas, Mississippi and Tennessee.